So I’m watching American Idol — the best of the worst episode — and just saw an ad for the new Shrek movie, Shrek The Third. It looks pretty funny. Donkey and his dragon wife have flying donkey babies. And Puss is along for the ride too. 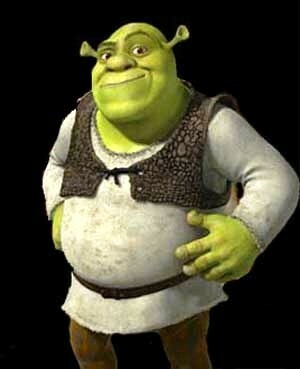 Shrek was the first film to win an Academy Award for Best Animated Feature, a category introduced in 2001. It’s based upon William Steig’s 1990 fairy tale picture book entitled Shrek! Chris Farley was originally going to do the voice for Shrek and did at least half of the audio for the voice, but died before the project was completed. Dreamworks then re-cast the voice role to Mike Myers. 48 queries in 1.205 seconds.